Everyone in science fiction from Robert Heinlein to Matt Groening has envisioned what the world would be like if we could freeze ourselves for an extended time and wake up, completely unaged, decades in the future. A new experiment with fruit flies might bring us a little closer to making that dream a reality. 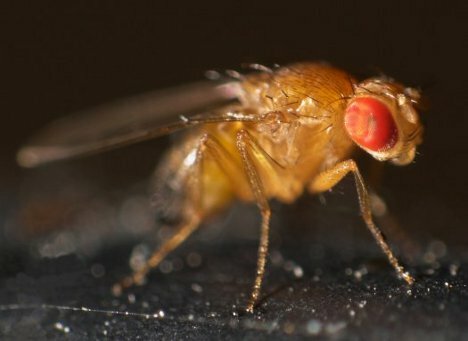 The study, conducted by scientists in the Czech Republic, looked at whether a fruit fly could be frozen and then brought back to life. The result was that fruit flies can indeed be frozen to 23 degrees F, as long as they consume a special pre-freeze meal first. The flies were fed a mixture containing an amino acid produced by Arctic fruit flies. The cold-loving species of fruit fly can survive temperatures of up to -320 degrees F, so the scientists figured it must be due to something particular to their chemistry. After some poking around in fruit fly biology, they identified an amino acid called L-proline. Mixing L-proline and glycerol, another cryoprotectant, and feeding it to the flies prior to their big freeze kept the non-Arctic fruit flies alive. But more importantly, after being frozen for 75 minutes and then thawed, the flies were then able to mature and reproduce as normal. 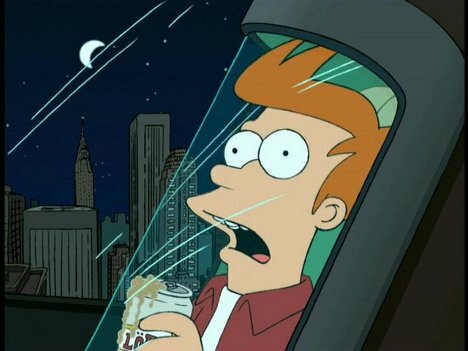 Next stop, Futurama-style cryo-sleeping! See more in Weird Science or under Science. February, 2012.